Walter Harding was not an academic or a book dealer. He worked as a ragtime pianist in Chicago. Yet he was able to build an enormous collection of poetry and song, sheet music, and opera scores. His important collection of music ranged from French and Italian opera scores to English music hall songs, and his legacy enriched Bodleian collections in such print genres as broadside ballads, chapbooks and poetic miscellanies. Here you can find out more about how Harding's collection came to the Bodleian, while this account of the collection gives an idea of its extraordinary range and scope. 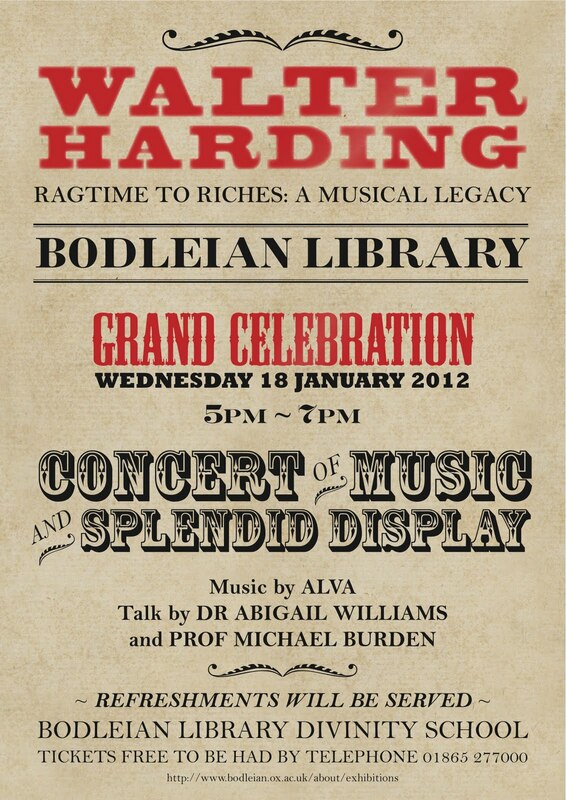 Harding's collection is being celebrated in an exhibition which runs from 7-29 January in the Proscholium, Bodleian Library. 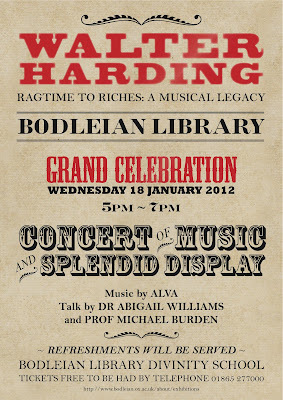 18 January will see an evening of talks by Abigail Williams and Michael Burden designed to reveal the significance of the Harding Collection, together with music from the collection performed by Alva. Highly input! I just impressed to see his great collection of poetry and song, sheet music, and opera scores. That’s mind blowing man. Keep it ...man.